Viewing 1 of 1 items. 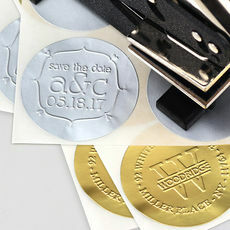 Round stickers are perfect for our round embossers to create a unique seal for many gift and labeling projects! Select from matte gold or matte silver. Set of 96 stickers, 2" in diameter. Presented on..